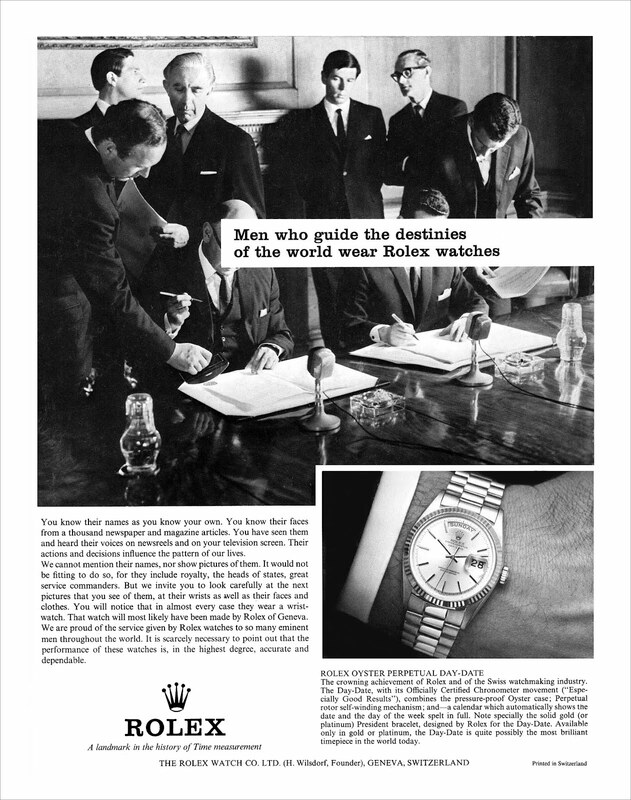 Welcome to RolexMagazine.com...Home of Jake's Rolex World Magazine..Optimized for iPad and iPhone: The First Rolex "Presidential" Watch Coming To Auction Next Week! 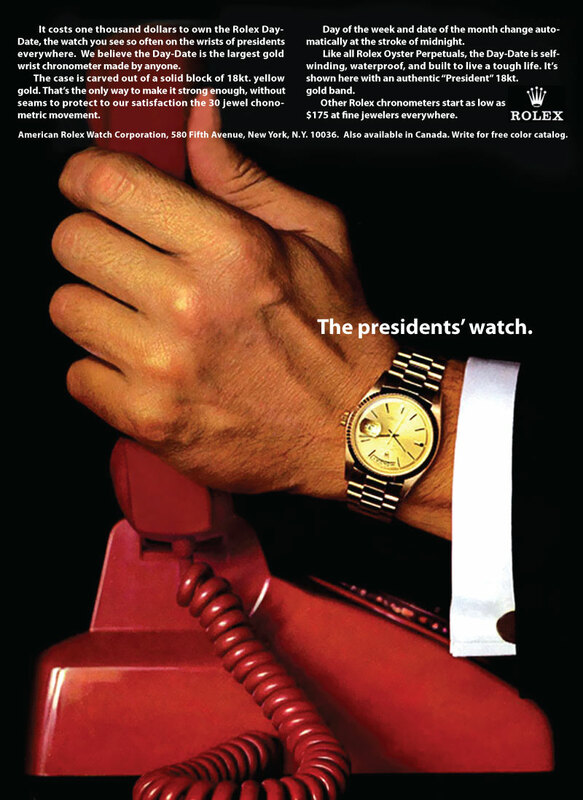 The First Rolex "Presidential" Watch Coming To Auction Next Week! 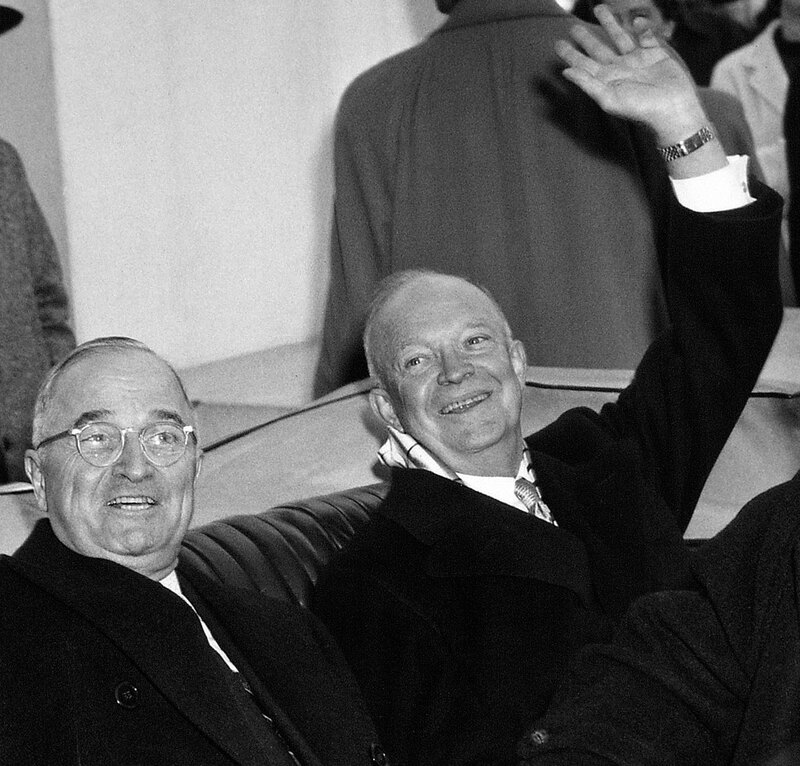 Update on September 17, 2014 @ 12:20PM: The auction for President Eisenhower's Rolex just concluded. The highest offer was $475,000 which did not meet the reserve of $1 Million. They say that you never really know the value of something until you try to sell it, so I imagine this auction came pretty close to determining the fair-market value of the watch. 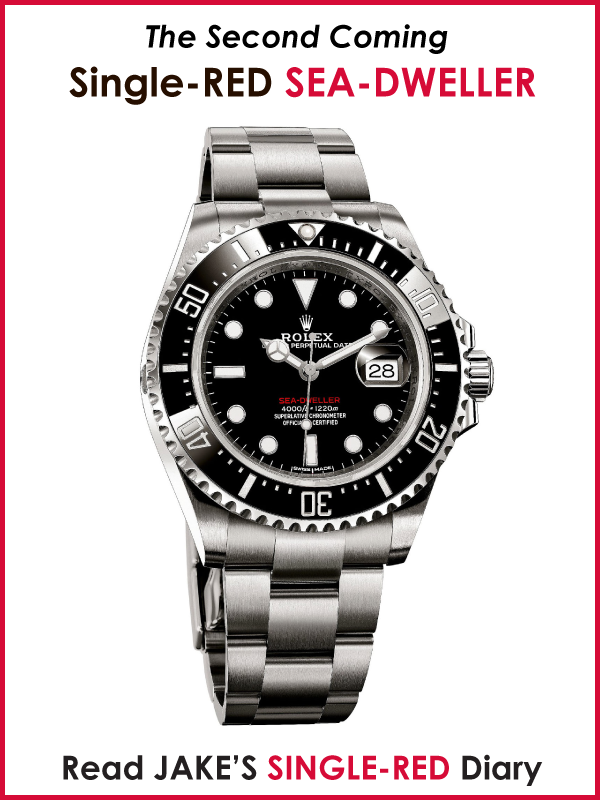 Close to a half-million dollars is still an impressive number for one of the most historically significant Rolex watches! 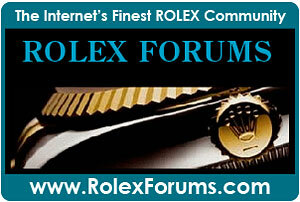 "The" First Rolex President Coming To Auction!!! It is hard to believe, but true, the first Rolex watch worn by a U.S. President is coming to auction, which is unprecedented! 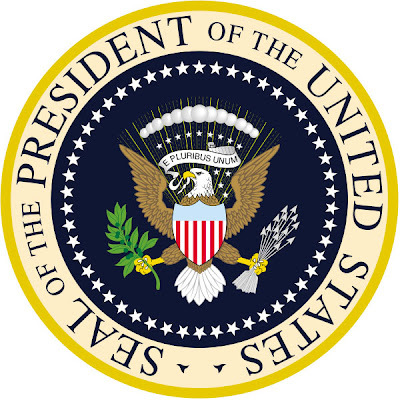 Just to be clear, Rolex watches worn by U.S. Presidents are not only very rare, but to date, one has never been offered at auction! 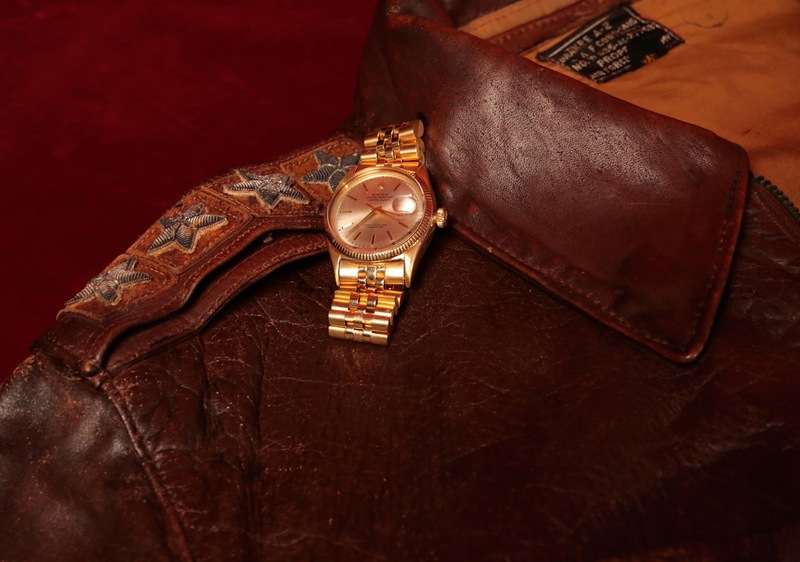 President Eisenhower's Rolex is up for auction now, and scheduled to go to the hammer this coming Tuesday, September 17, 2014 at RRAuction.com. 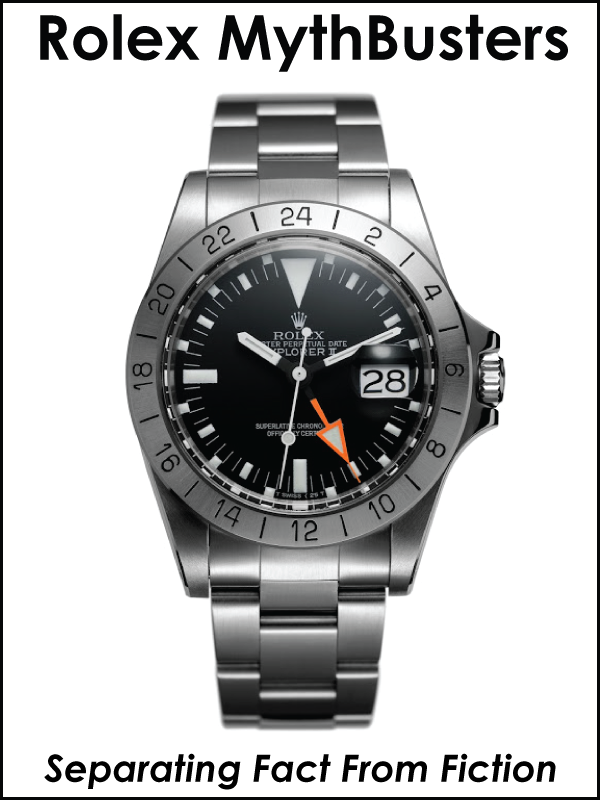 Early bidding is already underway and the watch is already up to $110,000. This is no ordinary Rolex Presidential watch, but the one that Rolex gave to then Supreme NATO Commander of Europe, General Dwight D. Eisenhower, after he successfully freed Europe from the shackles of Nazi tyranny. 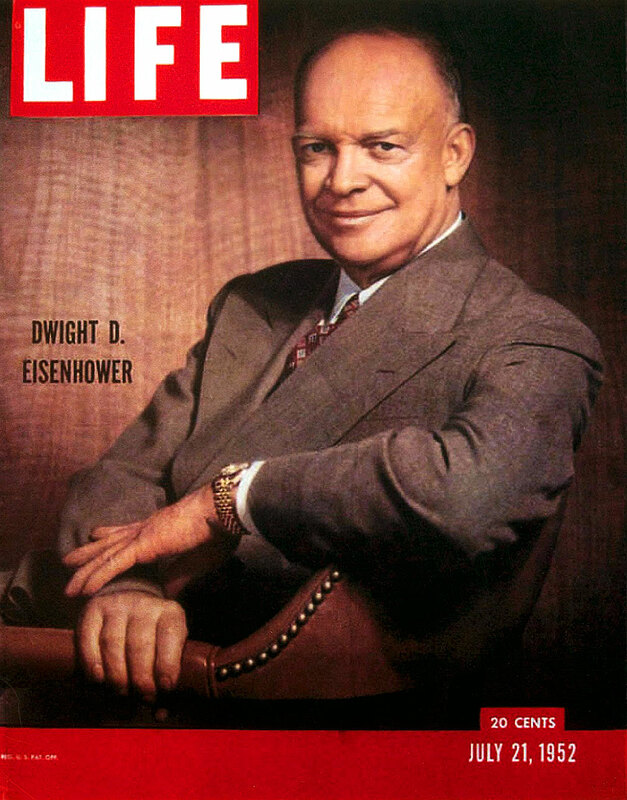 Essentially, General Eisenhower was the architect of D-Day, under which he assembled the largest armada in history and sailed across the Atlantic, and stormed the beaches of Normandy to defeat the Nazi's. 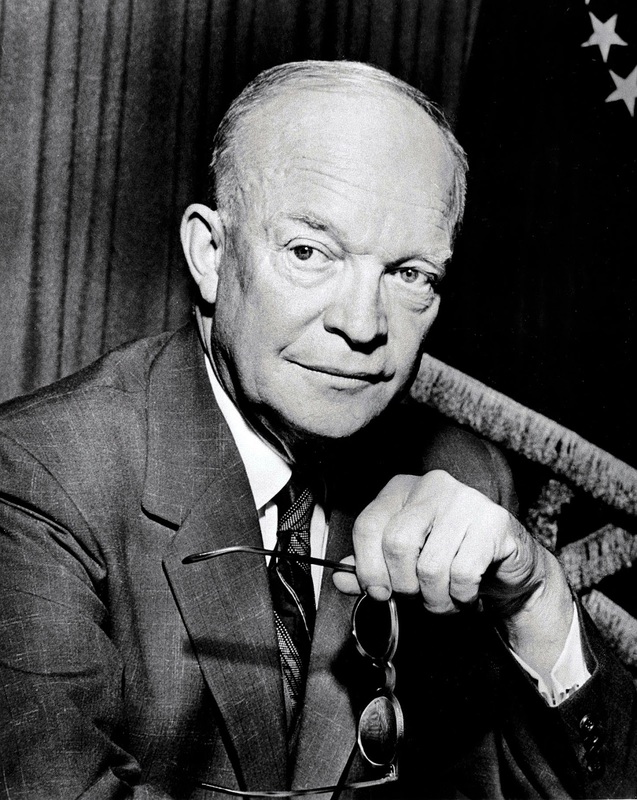 After winning World War II in Europe, General Eisenhower was appointed Supreme Commander of NATO, under which command, he got everything straightened out and oversaw the rebuilding of Europe. It Doesn't Just Tell Time. It Tells History. "Why this watch? This watch is witness. To words that moved nations. It's dared men faster. further. Worn by luminaries. Visionaries. Champions. It doesn't Just tell time. It tells History. 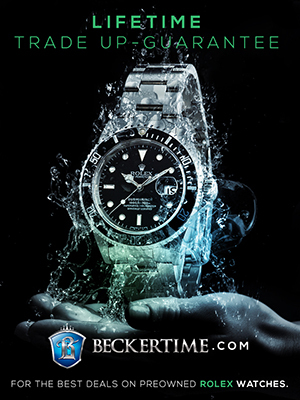 A recent Rolex ad campaign slogan says "It doesn't just tell time. It tells history." 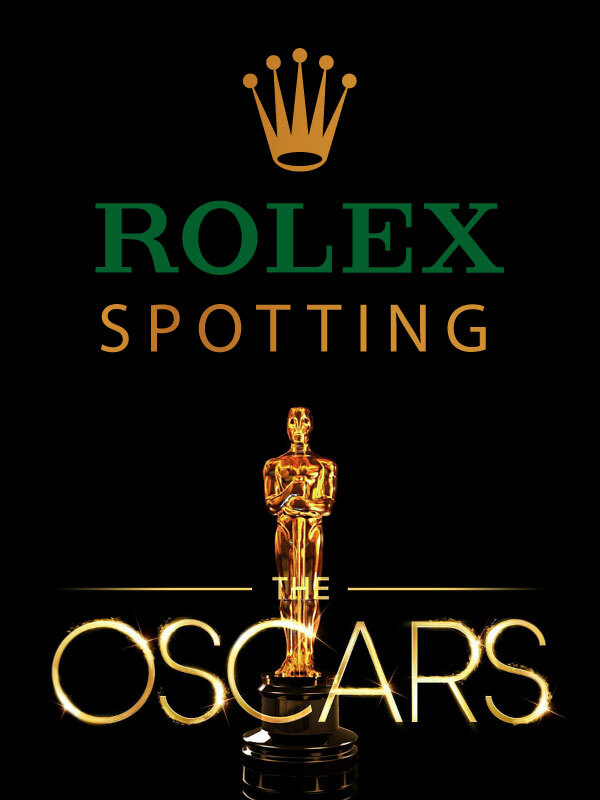 I can think of no other Rolex where this statement would be more true with, than with President Eisenhower's Rolex Datejust. 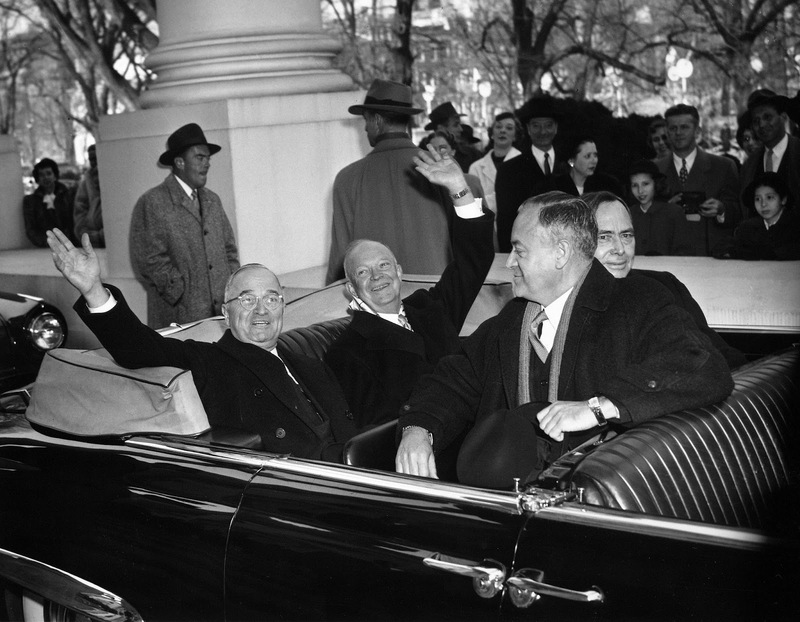 In the photo below taken on January 20, 1953 we see outgoing U.S. President, Harry Truman in the back of the Presidential Limousine with President Elect, Dwight Eisenhower as they leave for Eisenhower's inauguration. 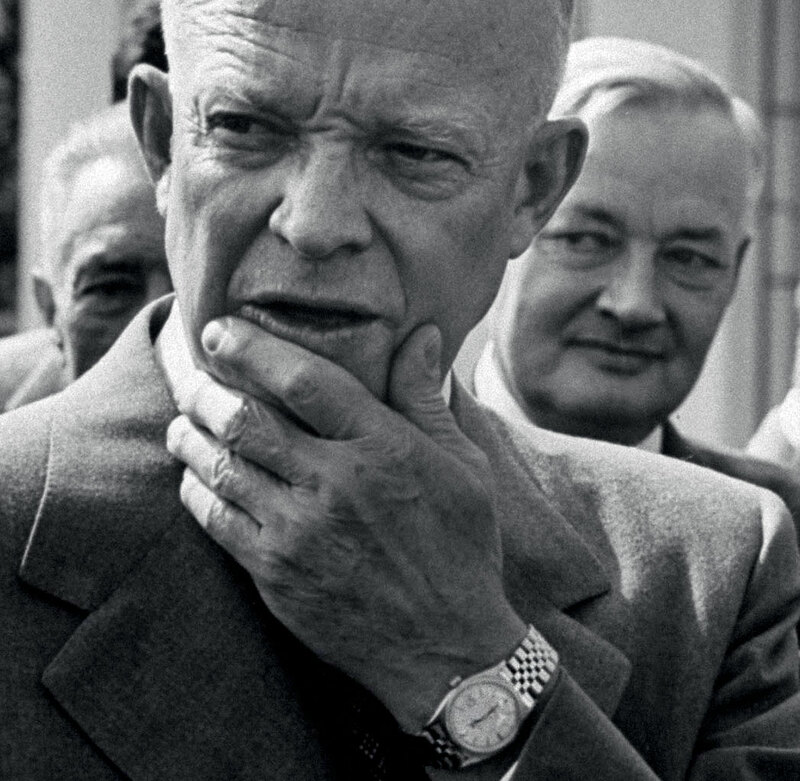 In this photo we get a clear shot of President Eisenhower's Rolex Datejust jubilee bracelet. 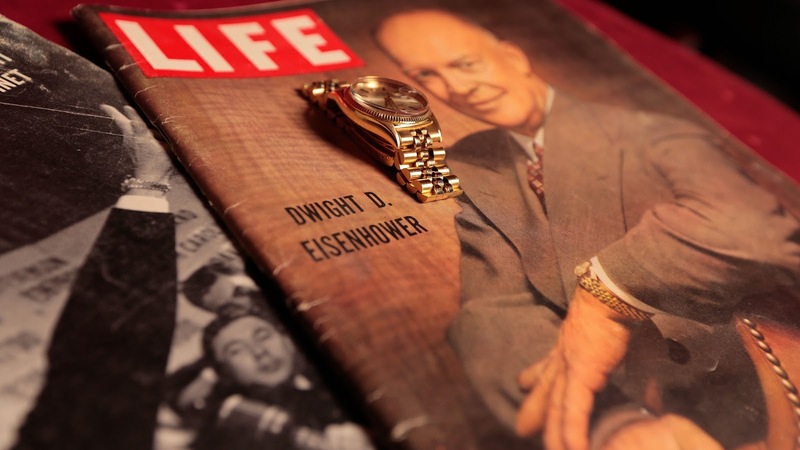 It is obvious President Eisenhower's Rolex is arguably the most historically significant Rolex watch. It has seen and witnessed a tremendous amount of history! 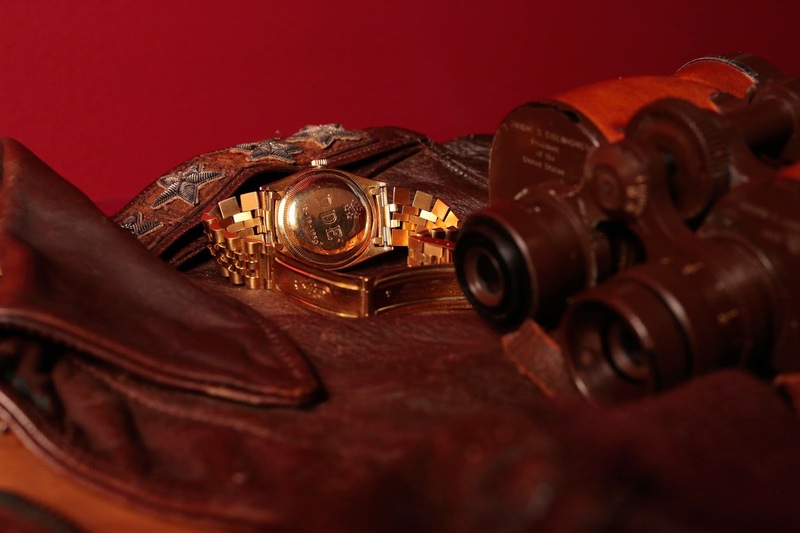 Below is a specially prepared video interview of Raleigh DeGeer Amyx, noted U.S. Presidential Historian and collector who currently owns President Eisenhower's Rolex. 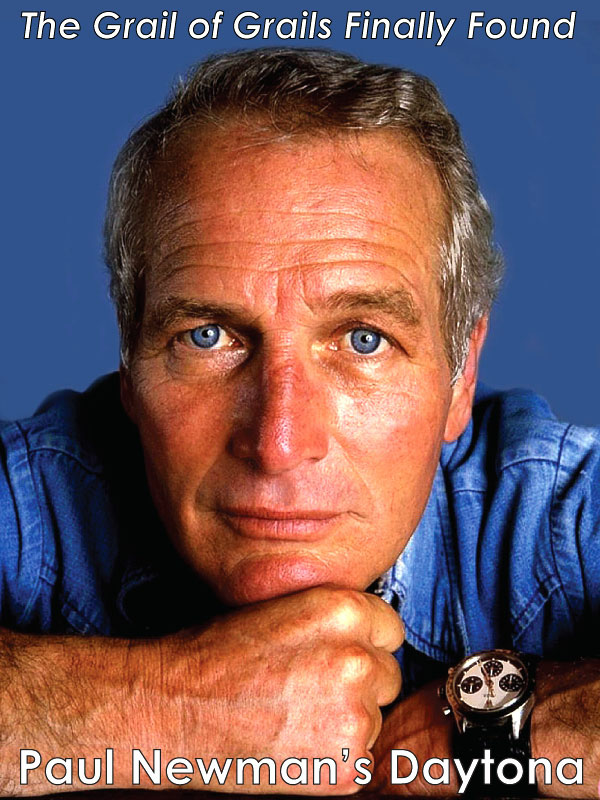 I first interviewed Raleigh on July 11, 2008, and we had a great conversation about his rare and historic Rolex that President Eisenhower wore. I highly recommend you check out the podcast interview which was absolutely fascinating. It has been said, that every Rolex tells a story, and when a Rolex is engraved on its case back, also know as a "verso" it adds a unique characteristic, that tells a story. 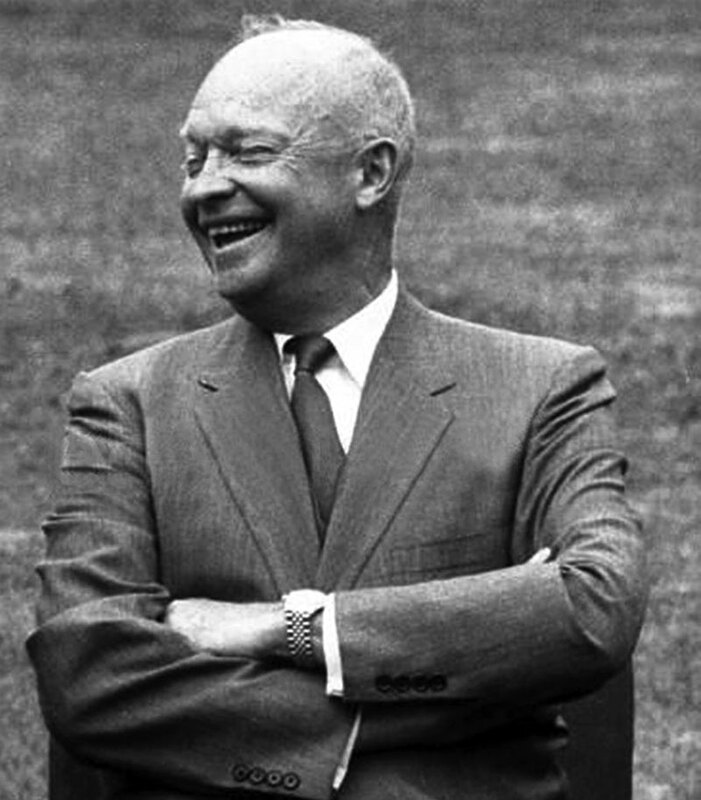 The back of President Eisenhower's Rolex is engraved with Eisenhower's 5 Stars, which form a pentagon–in the middle of the stars. 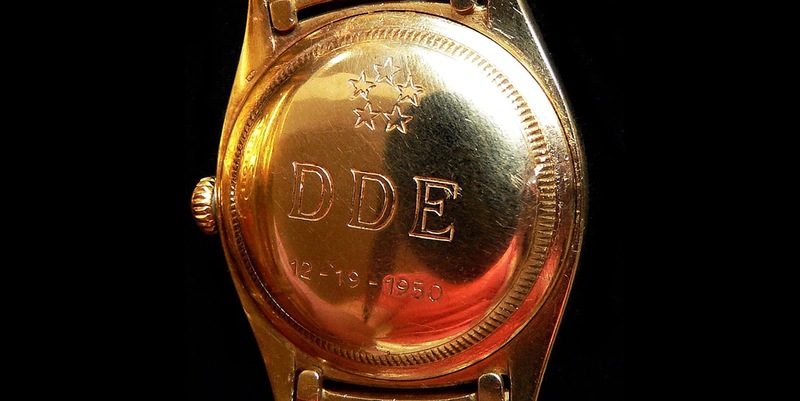 The engraving also has his initials DDE, as well as the date he was appointed Supreme Commander Of NATO. I would argue that if every Rolex tells a story, that President Eisenhower's yellow gold Rolex Datejust offers the most dynamic, and wonderful, ultra-succesful story. 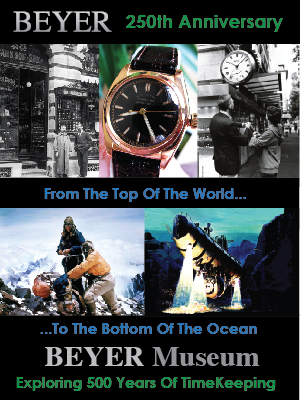 After all, it really was President Eisenower's Rolex that made Rolex The International Mark Of Success and Achievement. 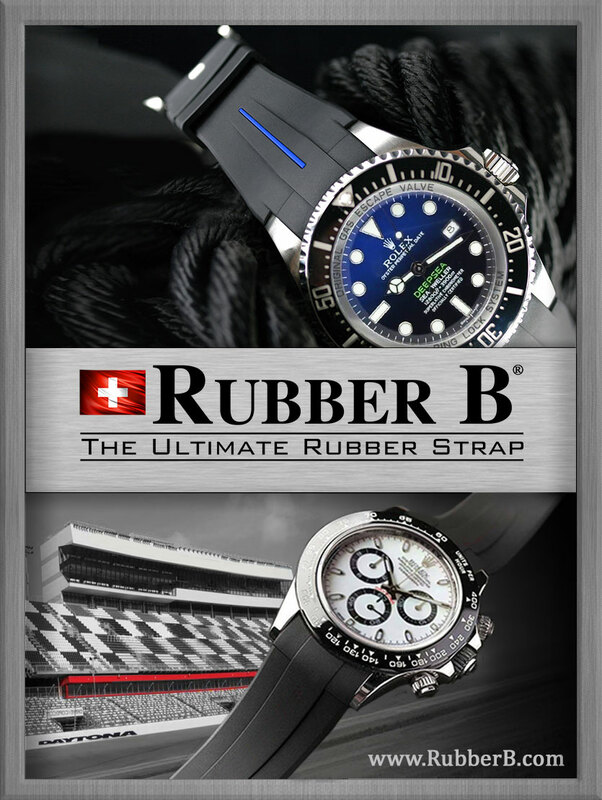 What is your Rolex story? 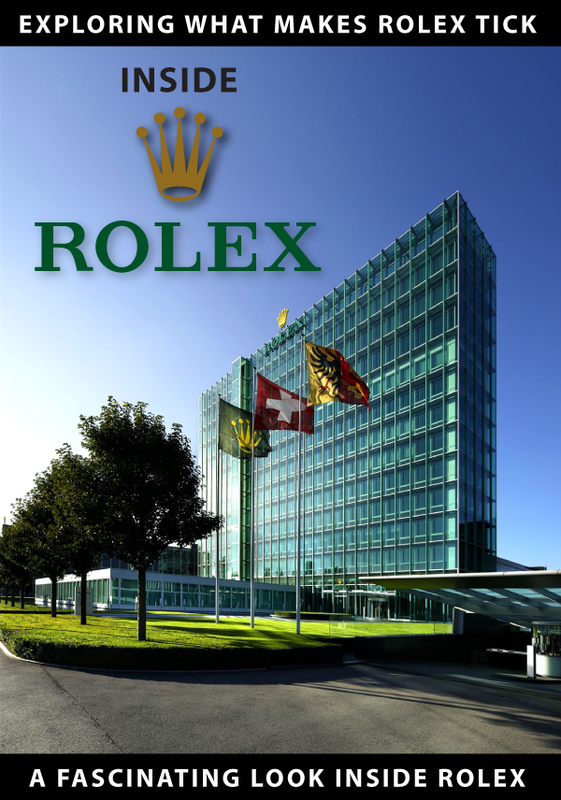 In 2008, I wrote a super detailed 11 Part story named The Complete History Of The Rolex President, which covers President Eisenhower's Rolex, and exactly how he obtained it from Rolex. The story is absolutely fascinating, and I would have never been able to write nearly such a detailed story had it not been for the kind assistance I received from the Eisenhower Presidential Library staff members and archivists who help me discover the entire paper-trail of correspondence that offers a flawless history of every step of the process. 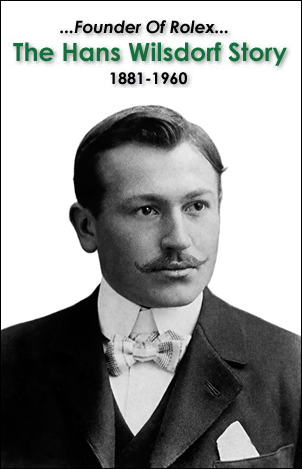 Some of these historical documents I originally published are seen below, and to read the entire story, click on the green link above in this paragraph. The next two documents also came from the Eisenhower Presidential Library archives, and feature a Rolex Datejust booklet with care instructions. 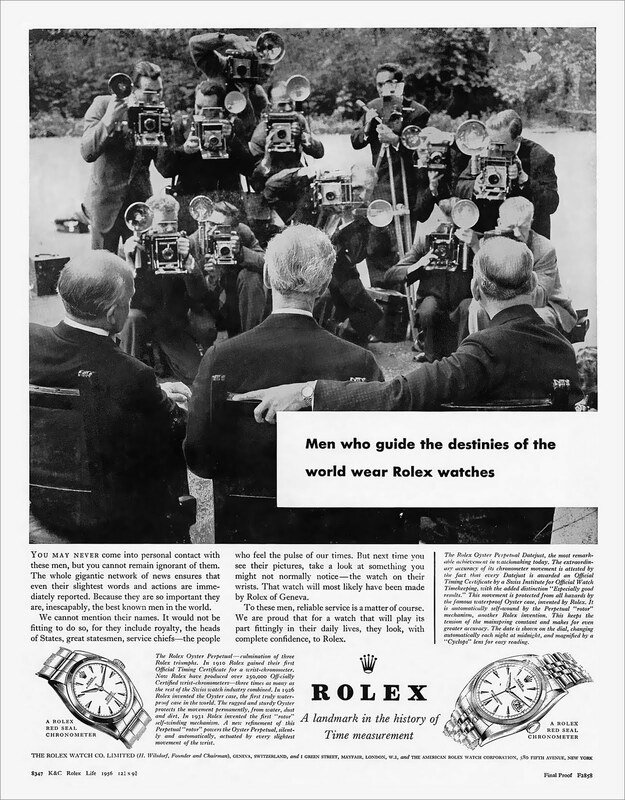 Rolex promised never to commercialize the fact that President Eisenhower wore a Rolex, which is a promise they kept. 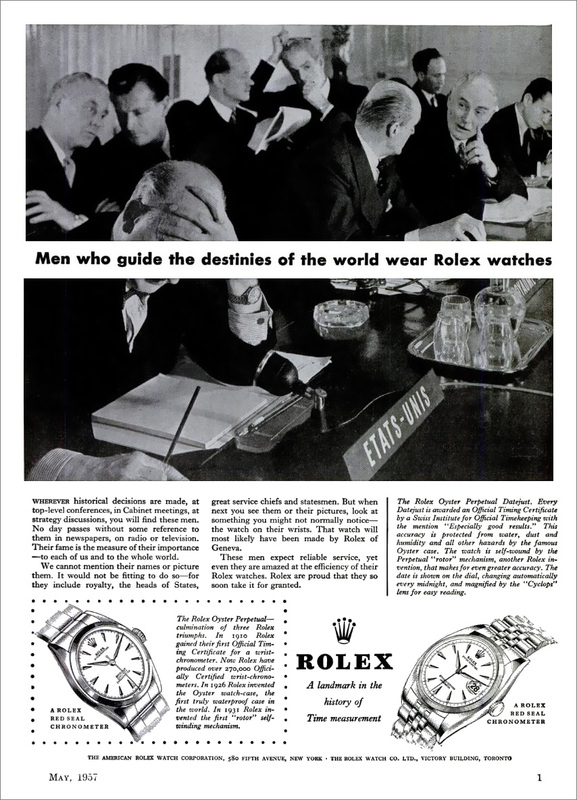 However, this did not keep them from being extremely proud of this achievement, which resulted in the following ad campaign that began in 1956 titled, "Men who guide the destinies of the world wear Rolex watches." 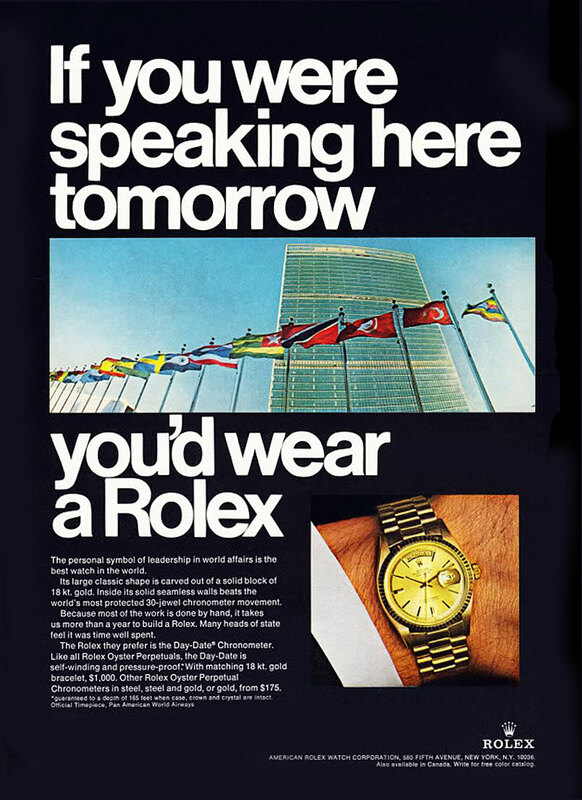 In 1964, U.S. President Johnson began wearing a Rolex Day-Date model, which became known as The President's Rolex. 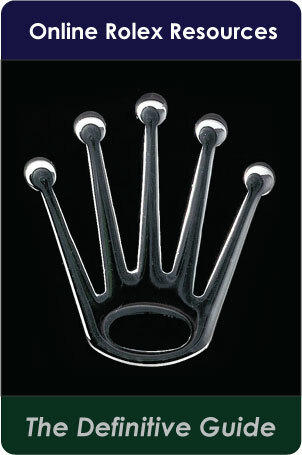 Rolex was so impressed with this fact, they renamed the Day-Date bracelet, "The President Bracelet." 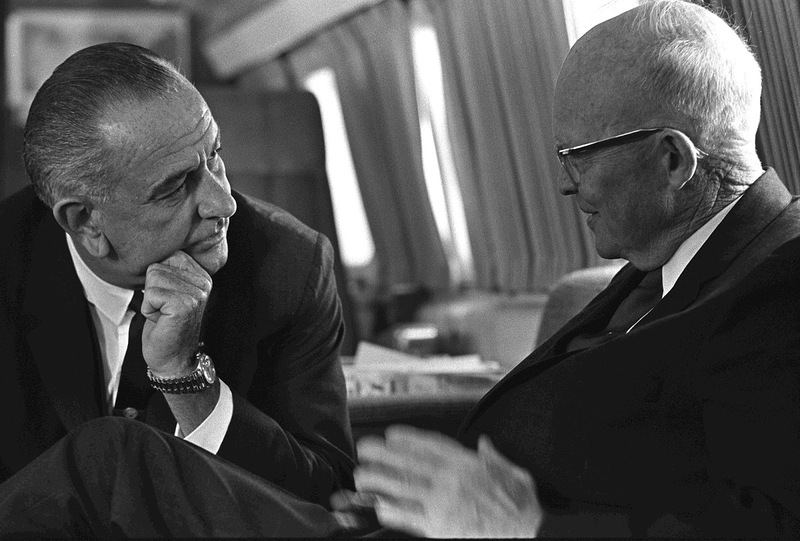 In the photo below we see President Johnson conferring with Dwight Eisenhower–Both Rolex wearers.